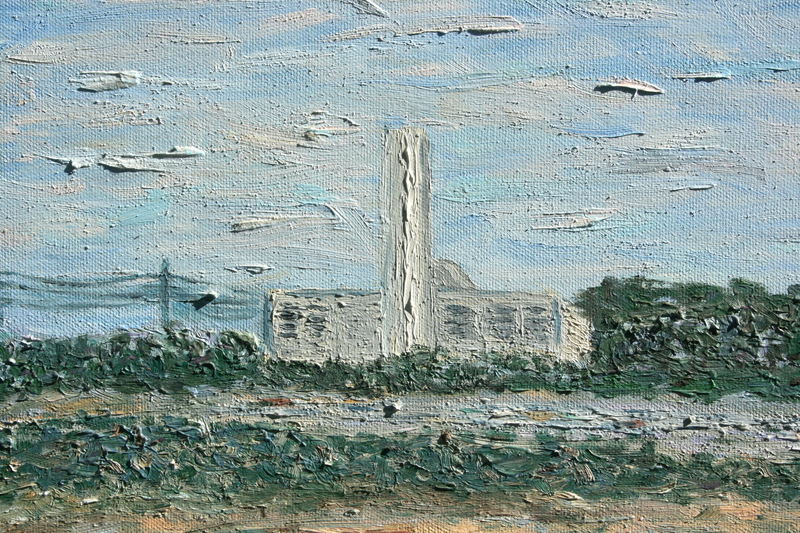 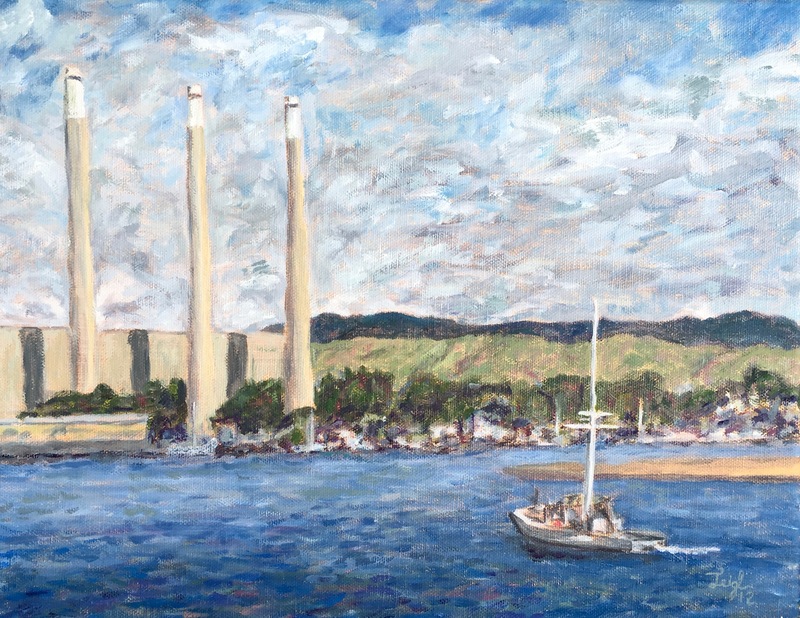 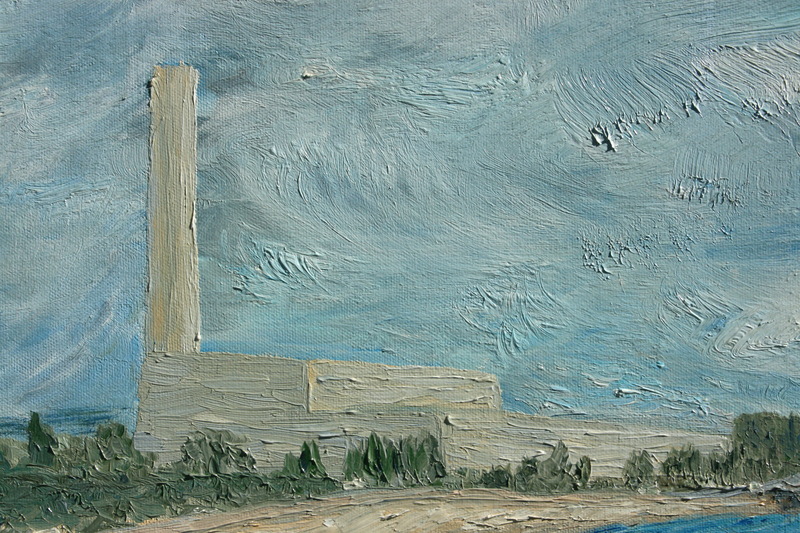 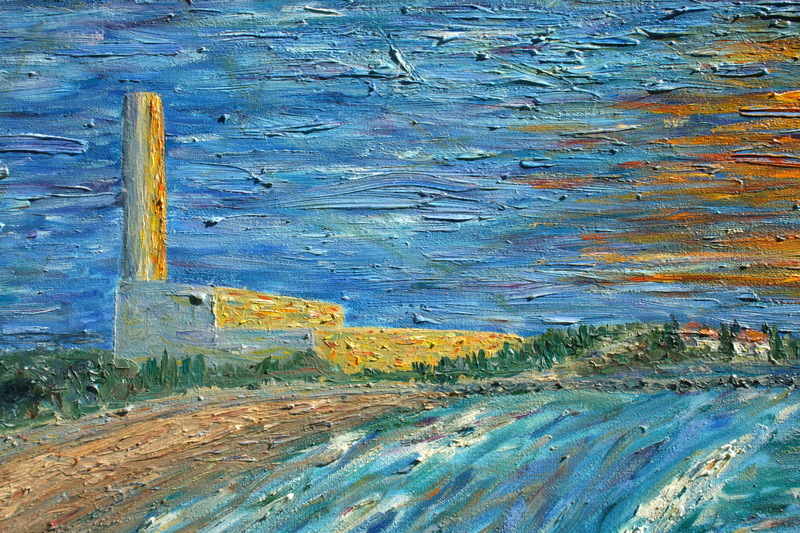 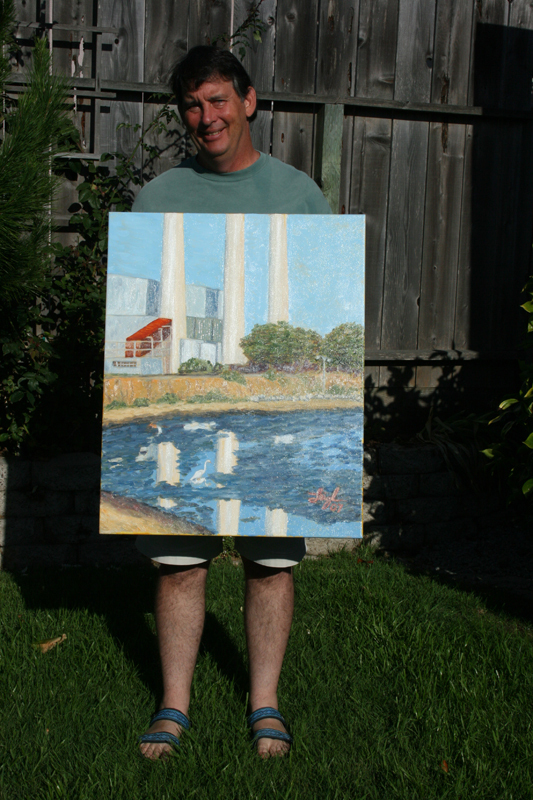 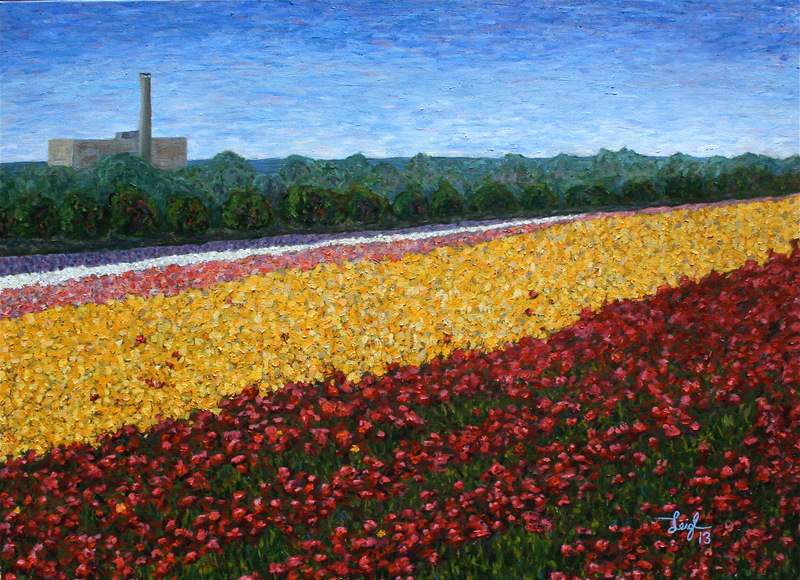 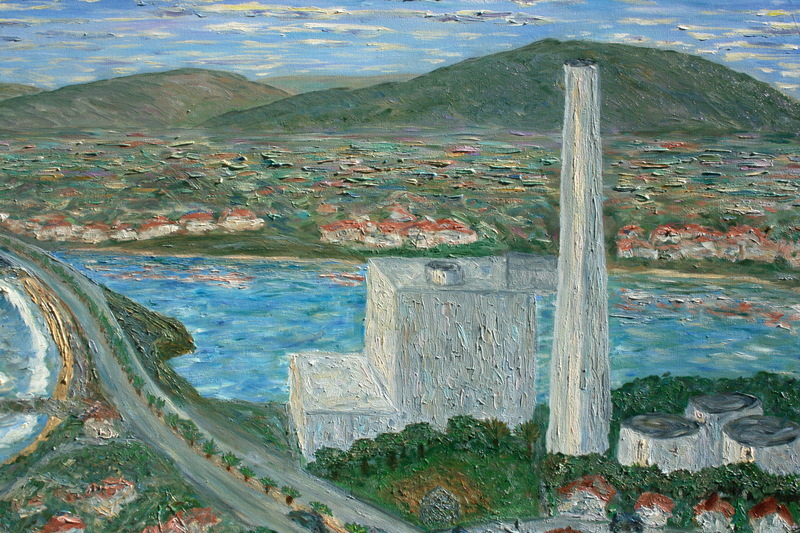 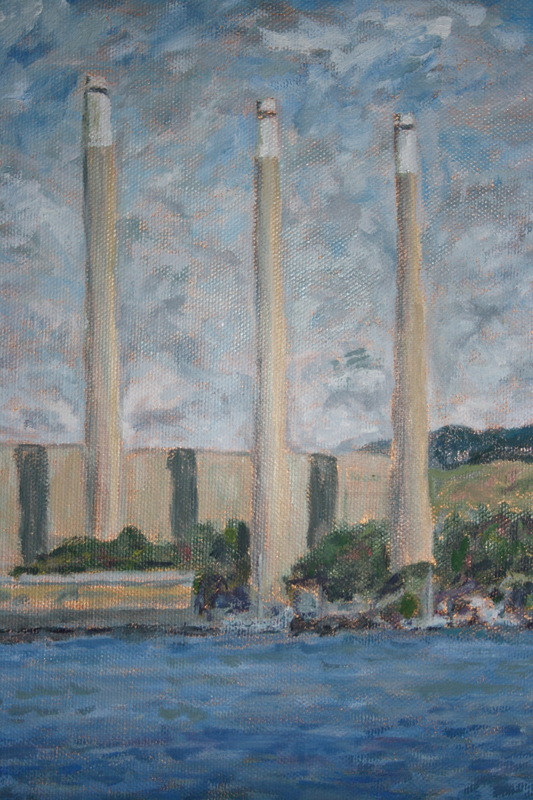 Between 1999 and 2001, I painted a series of power plant pictures. 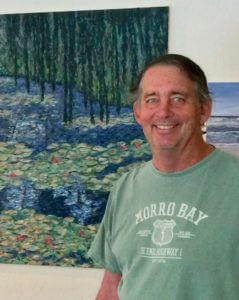 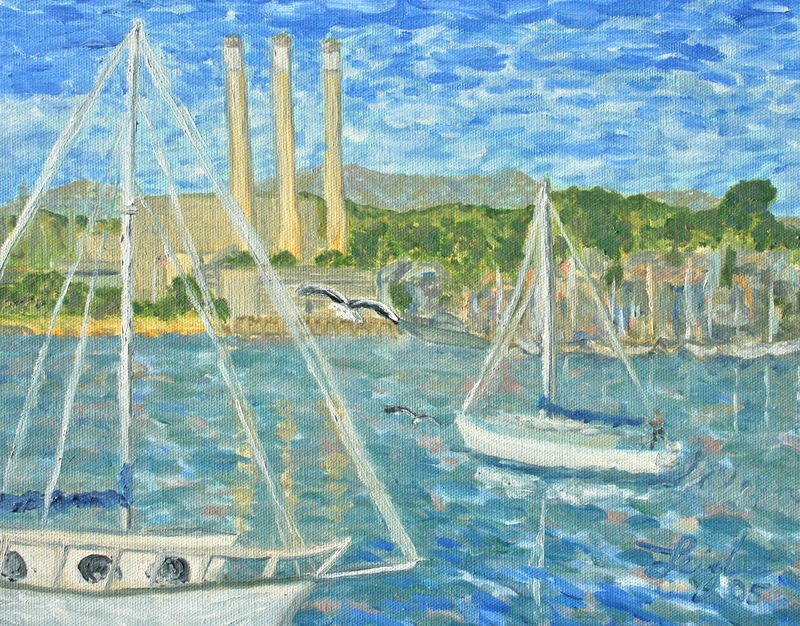 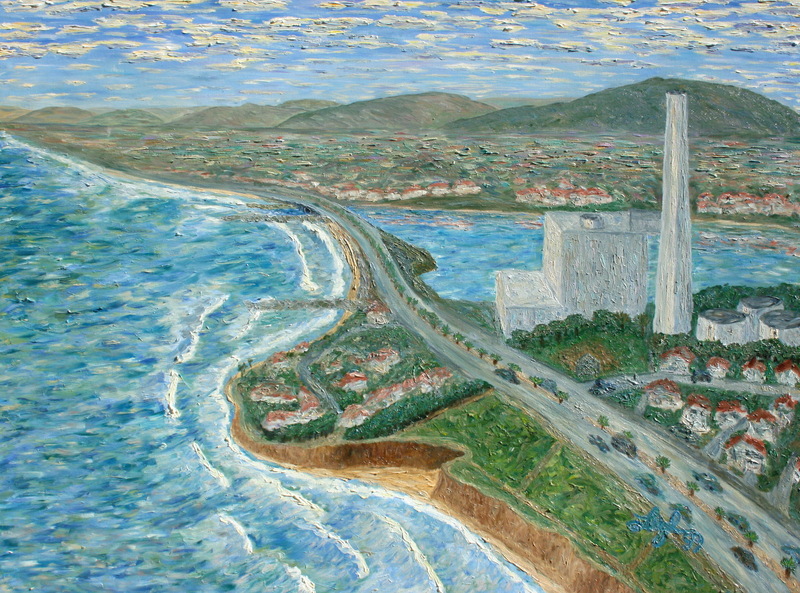 Initially, I was drawn to the Encinas Power Plant near my home in Carlsbad, CA. 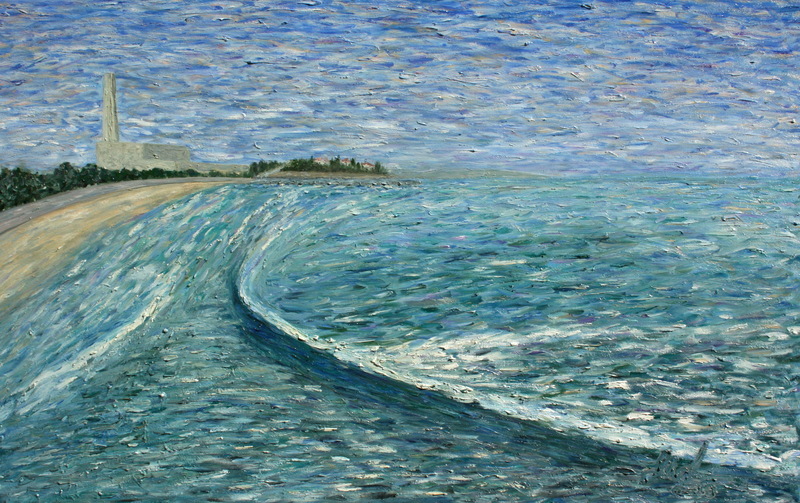 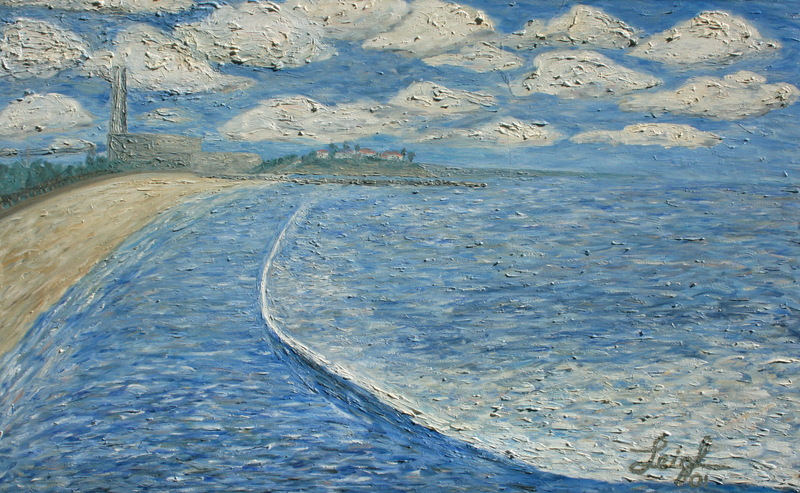 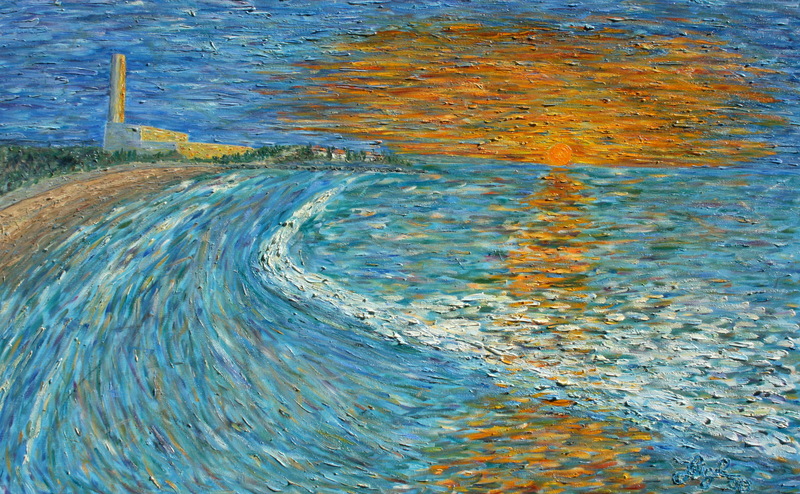 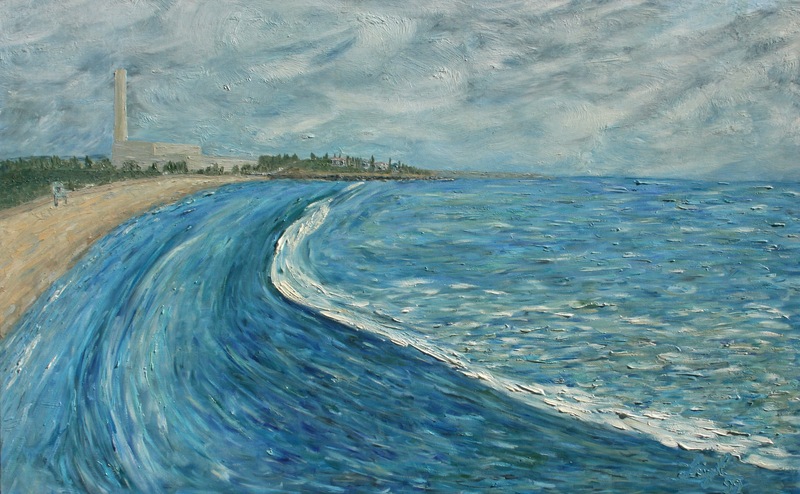 I liked its simplicity because of my limitations as an artist, and being sandwiched between the Agua Hedionda lagoon and the Pacific Ocean guaranteed that water would be in the scene. 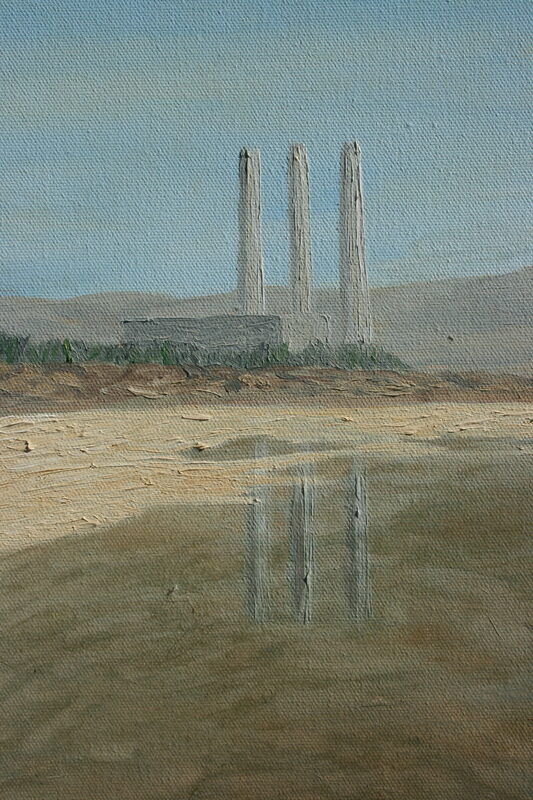 It was also during this period that I began visiting Morro Bay, and their power plant had three stacks! 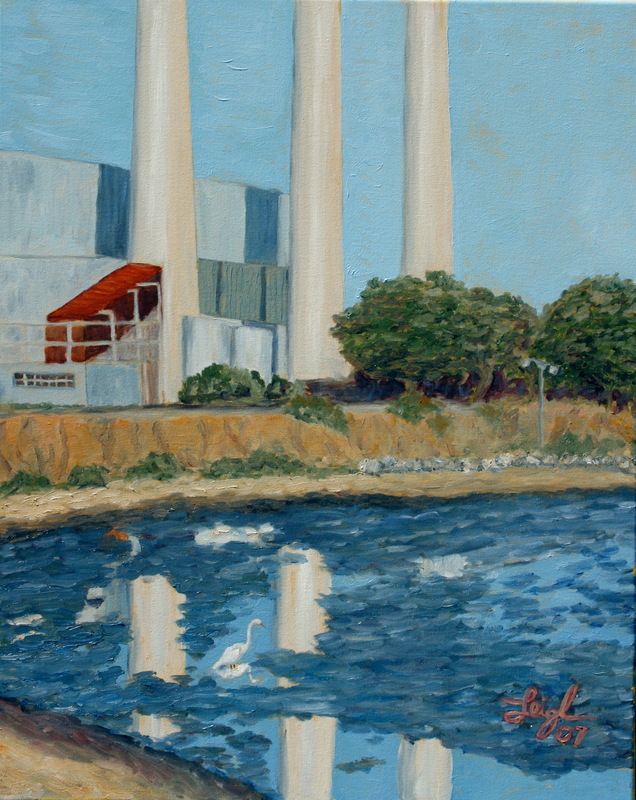 Although I find them to be architecturally interesting, these iconic structures are thought of as eyesores on the coast, and both plants are facing future removal.